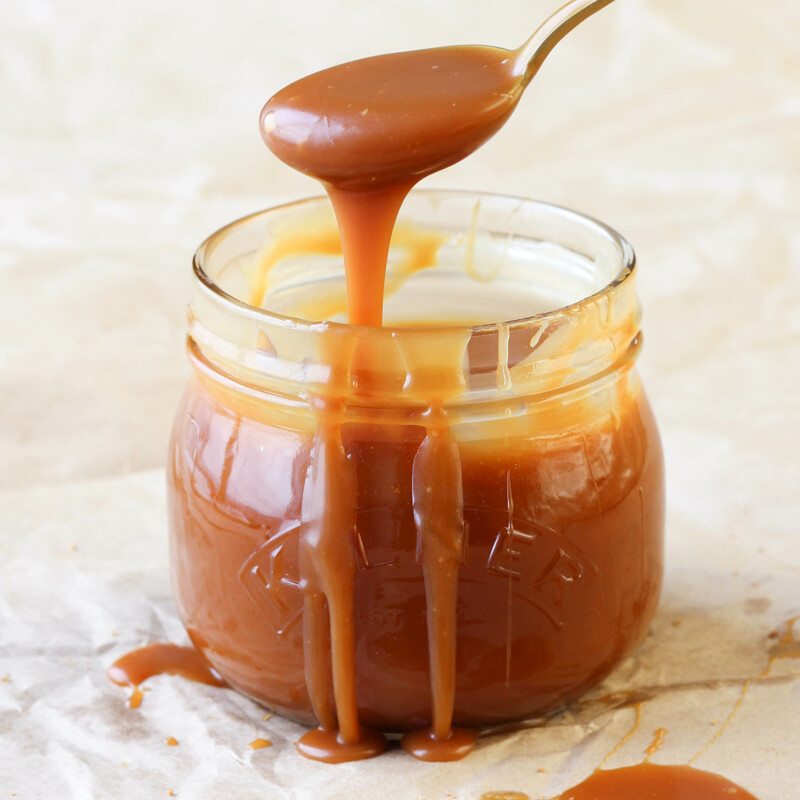 Say hello to the BEST Salted Caramel Sauce! Fortunately yesterday was not one of those days! Because yesterday I made the most delicious salted caramel sauce that I have ever had! I made two batches just to make sure it wasn’t a fluke. I know calling something the BEST is a bold statement but salted caramel is something I take very seriously. I’ve tried a lot of salted caramel sauces and I feel qualified to make this designation. The ratio of butter to sugar to cream is perfect and there is just the right note of saltiness from the fleur de sel. It’s so, so, so good!!! So rich and creamy! Even my cat loves this caramel! That is how universally loved it is. I had to keep shooing her from my photograph set or she would lick the sauce from the spoon. There is a sliding scale of acceptable caramel flavor. From the very light in color and, in my opinion, light on taste to the almost burnt, dark, sultry caramel that I prefer. The final taste will depend on when you add the butter to stop the cooking process. The caramel pictured in this post is that middle ground – universally accepted as a delicious, well-prepared caramel. I added the butter when the sugar had just turned amber in color and you could smell the cooking caramel but it did not have even a hint of a burning smell. My favorite caramel is cooked just a little bit longer (only another 15 to 20 seconds or so) and I add the butter when the sugar turns a deeper, rich amber color and there is just the slightest hint of burning scent when you waft the vapors (just like they taught in middle school chemistry). I have burned more caramel using a thermometer than I have using the senses God gave me, thus I dispense with the thermometer. I suggest you do the same. It’s just one extra dish to wash…unless you are trying to make candy (soft ball or hard crack) to which process a thermometer is essential. Have your butter and heavy whipping cream at room temperature. If you add a cold liquid to the hot sugar, it will seize up and you won’t be able to recover it.If you have a gas stove that delivers consistent, even heat, then feel free to whisk your sugar as it melts (as per the Brown Eyed Baker), but if you are cooking on an induction stovetop like me, then I find it best to refrain from whisking. Honestly cooking caramel on a gas stove is so much easier. Sigh. Some day. The Golden Rule of caramel making is DON’T WALK AWAY. Stand your ground at the stove. Don’t let your cat pester you into feeding her or your husband ask you to look at something. Your caramel focus will be broken and something will go horribly wrong. I know. These things happen. The BEST Salted Caramel Sauce that I have ever tried!! Smooth and creamy with the perfect consistency. In a 2 to 3 quart saucepan, melt the sugar over medium-high heat. Lots of recipes call for you to stir until all the sugar is melted, but, for me, I get better, more consistent results on my induction stove if I just let it be and swirl the pan frequently. Once all the sugar has melted watch your caramel like a hawk; swirling the pan occasionally. As soon as the sugar turns amber in color add your butter and whisk vigorously. It will bubble up aggressively but just keep whisking until all the butter has melted. Remove pan from the heat and slowly pour in the cream while whisking vigorously. The caramel is going to bubble aggressively again, so be careful but stand your ground. Whisk until all the cream is incorporated and then whisk in the fleur de sel. Set the sauce aside to cool for 15 minutes prior to pouring it into a glass jar to cool completely. You can refrigerate the sauce for up to 2 weeks, but you will need to warm it before using. I gently heated mine in a saucepot with warm water or at 5 second intervals in the microwave (yes, 5 second intervals). This does look wickedly good. Are you using it for ice cream or something else? It is an excellent topper for ice cream! I have been eating it off the spoon, baking it into brownies and blondes, and filling cupcakes! It will be making several cameo appearances soon! Hi Darleen! That will be fantastic! How could it go from perfect to nasty while cooling? Awww I understand! These things happen to the best of us. It sounds like your sauce crystalized at some point. It wouldn’t be immediately obvious when its hot. This can happen if granules of sugar fall into the already melted caramel (like from the sides of the pot) and then are agitated (stirred, swirled, whisked). The sugar crystal will encourage other melted sugar around it to crystalize too. It can also happen if your pot is dirty (even just a little) or if you stirred a wet caramel. I hope that helps! OH MY GAWWWWD THOSE PICTURES!! drooooling. Mmmm all this talk of caramel is making want some! Maybe I’ll just take a quick trip to the fridge…. 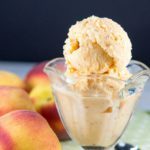 Salted caramel sauce – I love it! And it looks so appetizing, dripping on the sides of that glass jar. YUM! I would put it all over everything: pancakes, crepes, sweet quick breads, muffins, etc.! Leave it to you, the Crepe Master, to think of putting it in a crepe! That would be so yummy! I think I remember you having a banana bread that was dripping in caramel. Good thing I have some left or I would have to make some more to spice up my usual banana bread recipe! I just love caramel, especially when it’s warm. I’ve done my share of screwing up caramel. It is so easy to make, but at the same time also so easy to mess up. And OMG speaking of caramel burns…OUCH! Something at that temperature burning you is just beyond painful. There was a girl in my class that had hot caramel spill all over her hand. It was when we were making caramel cages, she thought it would be clever if she used plastic to pipe the caramel, but she paid the price for it. Hot sticky caramel sticking to your hands…yikes! And I am drinking iced caramel macchiato right now as I type this. I’ve cut back on the caffeine, but I never said I was going to quit cold turkey haha. Miss Kim @ behgopa recently posted…Ghirardelli Gift Card Giveaway to commemorate my one year blogiversary! I am not generally an advocate of quitting anything cold turkey especially caffeine…can lead to headaches! Hmmm plastic and caramel…bad plan. The big question though is when you do get hot caramel on your hand while in the middle of cooking, do you stop and run it under cold water and burn your caramel, or do you suffer through the pain to save the caramel? I say anything to save the caramel!! Thanks for the Pin!! It’s so beyond amazing!!! I tried your sauce and I got hard bits of sugar mixed in with my sauce. Luckily I have a nice size container without bits, but what was left in the pot was the consistence of slush. I tried reheating it and that melted a little of it, but most of it went down the drain. What do you think I did wrong? My butter wasn’t exactly room temp and it took a lot of stirring to incorporate, so I am blaming it on that. Today I am going to make the cupcakes. BTW, the sauce is delicious, thanks for the recipe. Hi LJ – I’m so sorry you are having trouble! Caramel can be tricky! If I am understanding your situation correctly, it sounds like you had no problems melting down the sugar and caramelizing it. The problems happened when you added the butter and the cream. 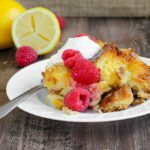 That is exactly what kept happening to me when I added cold butter and cream to the sugar – it seizes up and, once re-crystalized, there is no way to fix it. I tried. Once I used room-temperature (i.e- really warm) butter and cream it stopped seizing up. The only other time that I ended up with sugar crystals in my finalized caramel was when I stirred the sugar while it was melting on my induction stovetop. I could not get the the crystals to reincorporate before I burned the sugar. I hope that helps! Have fun with the cupcakes! Brave! Trying it in a skillet! I would be afraid it would bubble up and burn me. Glad you tried it and were able to salvage some! Well, in all fairness, it was one of those giant Emeril skillets…using your sauce for triple vanilla, salted caramel filled cupcakes with browned butter buttercream (with caramel drizzled on top of course! Those cupcakes sound delicious!!! The extra caramel drizzle was totally understood! I’m going to have to try browned butter buttercream. Do you brown the butter and then refrigerate it solid again? the best way to caramelize the sugar that I have found is using the microwave: add a tablespoon of water and cook for about 5 minutes – it depends on the strength of your microwave, so the first time you have to watch it very carefully…. but after that it is totally problem free, consistent results and magically easy! Lol! That’s the problem!! My site’s been a little caramel heavy since I first made it! Aaaaannnnddd I may have some still in the fridge…..here comes trouble! This looks amazing. I was trying to melt the sugar in the sauce pan but it was already turning brown on the bottom before it all melted. I made the mistake of stirring it and then had fun cleaning out the “harder than granite” sugar rocks. Can you melt the sugar by itself without burning the bottom or should I be using a double burner or should I be melting it WITH the butter? Hi Matt! I’m so sorry that happened. That has definitely happened to me…sometimes the temptation to stir is irresistible. When you make caramel using the dry method (aka without water) parts of the sugar will melt faster especially if you are using an induction stove. Gas heats more evenly, so it will melt more constantly. You are definitely supposed to melt the sugar by itself. I’m not sure it would get hot enough to melt in a double boiler. I vigorously swirl my pot to try and distribute the melting sugar and help it melt more evenly. I’ve ruined many a pot of caramel (mostly by cooking it too long) and the good news is that you can let it soak for 15 minutes and the sugar will dissolve. No scrubbing needed! Good luck! So Matt, I had the exact same problem the first time. I tried it for the second time today and WOW! No matter how much I wanted to stir that sugar (I did cook on a gas stove) I held back and just swirled. Made the entire difference! Take 2, turned out PERFECT! Haha! I am terribly jealous of your gas stove! Way to impose that self-restraint! I know it is so difficult to resist the urge to stir! I’m so glad it turned out perfectly this time and I hope you enjoy it whether you are eating with a spoon or baking with it! Lol! A girl after my own heart! All is as it should be 🙂 Except that I have no caramel to eat with a spoon! 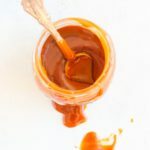 Not sure how I could’ve possibly missed this post – I absolutely adore caramel sauce! Sigh. Caramel! Its a fabulous thing. Whoever created it should win some sort of award. Wow, I’m just about to lick my screen! Seriously, this looks amazing! I love caramel, salted, butterscotch, you name it! Definitely pinning it! I have to make this asap! I hope you do! It’s so delicious! And thanks for the pin! I haven’t tried canning it but I have used it over the course of several months and found it tasted exactly the same. I keep it in the jar pictured, tightly sealed in the coldest part of my refrigerator. I’ve done this with several batches and the only trouble I had was that some of the larger flakes of salt eventually settled towards the bottom but I think this was because I forgot to crush the salt prior to adding it so it didn’t fully dissolve. Yes it is! I was just trying to figure out how to swirl it into my first batch of homemade ice cream! I hope you do try it, Flo! It would be delicious with apples. 12 T of butter weigh approximately 170 grams. I am suuuuch a failure….. I tried making your caramel sauce and everything went wrong… I added water to the sugar, but I think I added a bit too much. My sugar got clumpy and then, after about 10 minutes, it started to turn amber (it was still clumpy, though). I had to clean up my mess with boiling water. I think I’ll just give up on caramel, since it’s the second time i’ve tried making it (the first time it burnt). Oh no!! You are not a failure! I would be willing to bet that 99% of people who have made caramel have also ruined caramel. I include myself in this 99%. I actually burned the caramel twice and my hand in this post! Hi! 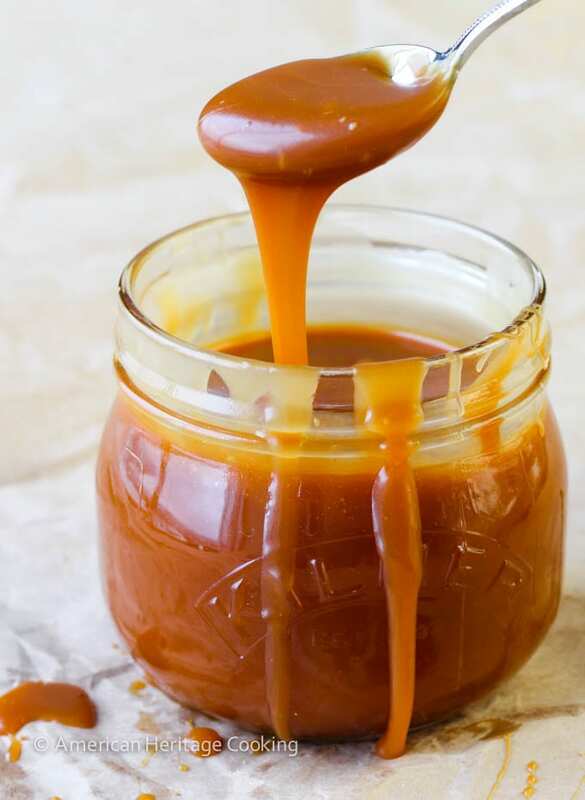 Can this sauce be turned into firmer caramel candy if cooked to a higher temp after adding the cream when the sauce is done like other caramel candy recipes call for ? Thanks! Oh no! I’m having difficulties!… My sugar that I am melting in step one is already getting much too dark before all the ‘clumps’ have broken down and dissolved!…. Even when my temp is med-low!!! Then finally when it’s just barely dissolved it looks quite dark( almost too dark) so I add my warm butter right away but it doesn’t want to incorporate and I end up with large golfball hardened size clumps among the mixture of butter and sugar that’s not incorporating!!! ( so then the first time I attempted to whisk the butter for a few minutes to get it to incorporate and everything seized up real hard so I couldn’t even add the cream ) but the second time I add the cream right away even though the butter had not come together with the melted sugar and the mixture only starts to smooth out after 5 minutes of hard whisking over medium heat but even then I am left with big clumps of the original sugar mixture that never incorporated well with the butter and cream at first!!! Ahhh! Help! Please! Thankyou!! Oh no!!! I feel your frustrations! This will sound counterintuitive, but you need to melt the sugar over medium-high heat. If you melt it over low it will take too long for all of it to melt and you will have a mixture of unmelted sugar and burned sugar. I, too, have done this. It sounds like you are using an electric burner which will exacerbate all these problems because the heat is inconsistent and uneven to begin with. When making caramel on an electric stove it is important to swirl the caramel more frequently and use a heavy-gauge saucepan if possible. When the sugar starts to melt, it will melt unevenly. Don’t worry, just swirl and try to rotate your pan to get it to cook evenly on the burner. You can also try a long handled spoon instead of a whisk to add the butter and cream. Thank you a million times! I will try again! But when I said clumps I meant basically the sugar ( which had no clumps before starting) as it is starting the melting process forms it’s own clumps and somehow some of them never finish dissolving by the time the rest is perfect darkness! Maybe the higher heat will help this. But the mixture is really darkening so quickly on me! And like I said im also really struggling to get first the butter and then the cream to incorporate smoothly the butter really just stays liquid apart from the sugar ! I’ll try again ! My goal then at the end was to turn this in caramels to cut so basically after i finally get a smooth mixture ( hopefully) then I would continue to cook to a higher heat ( how high?? Of just a few minutes longer of cooking?) in order for this to firm enough to turn in caramel candies? Thank you thank you! Would lemon juice help to keep this from crystallizing? Or is that for a completely different purpose? To make soft caramel candies you want to cook the sugar to the firm ball stage which is around 245 degrees F. If you don’t have a candy thermometer, then you can do the test the old fashioned way by dropping a dollop into cold water. When you remove the caramel from the water it should be in a firm ball that will flatten when squeezed but will stay in a ball in your hand. It should be malleable. If you cook it past this stage then you will get into the soft and hard crack stages that get completely hard when you drop them in the water. Ps- the last batch even after whisking and whisking to smooth it out still has all sorts of clumps and chunks left in it now after setting! Thanks I’m still trying!! To make caramels Do you mean cook it to 245 after adding the cream and butter? That’s correct. Add the butter and cream when the caramel hits your desired level of “burnt”. I like mine a darker amber but that is personal preference. The caramel as pictured was a lighter amber before I added the butter and cream. Return the caramel to the heat and continue to cook until it reaches the correct temperature. You can also stir or whisk away at this point. Thankyou for all your help! Ok well after 2 more attempts I’ve managed to get much less clumping when I do it the way you described with less mixing! but during the sugar melting period it’s turning much too dark before it’s all melted resulting in burnt flavored very too dark caramel! I just can’t get it to darken less quickly to give the rest of the sugar time to melt! Hmmm any other ideas with my darkening problem? It’s just much much too dark to quick that’s all I can say to explain! The portions that melt first hit the perfect color when there’s still a lot of sugar left to melt so then I wait for the rest to melt while swirling like you said ( which was a great idea) but before that happens it’s already too dark and burnt! Yes I’m using an electric. Thankyou again for trying to help me! Oh my! This *is* the best caramel sauce recipe. I plan to use this sauce later today for this salted caramel pudding: https://www.portuguesegirlcooks.com/2012/01/salted-caramel-pudding/. I hope I don’t sample too much before i have a chance to make it! Thanks for the recipe! Sampling is definitely always a problem! I’ll check out that caramel pudding! It’s been forever since I made a pudding. Enjoy!! Might I add to your list of “…Things I’ve learned…”? I only use raw sugar and did not imagine this could pose any problems until the sugar starting melting then realized very quickly it was already the desired color just as it completely melted. After a short moment of panic I simply used the smell of the sugar as my guide. It was also imperative to have everything lined up and ready so at the crucial moment of life or death, there’s no need to go madly searching for anything. I’m happy to say all turned out well in the end and I have several little jars of an absolutely divine sauce..
I’m so glad to hear it worked with raw sugar too! Even with regular sugar the smell is very important. That is a great point about having everything at the ready! It is absolutely necessary! Enjoy your sauce! I made this and turned out great a little concerned it wanted to seaze up but keep on wisking and smothed outfine. I think maybe I addeda little too much salt but still so good will cut salt a bit next time. Thanks so much for great recipe and hints. I did. Poured it into a bowl, let it solidify a little (to the consistency of softened butter) and then beat it until fluffy. If I could figure out how to post a picture of the final product, I would. They were GLORIOUS!! 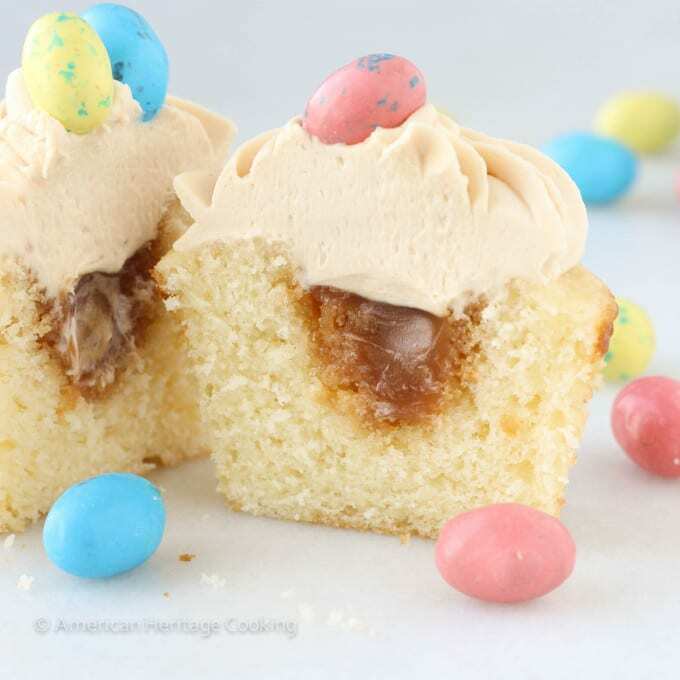 The buttercream is really the champion of these cupcakes! Hi, this looks amazing, I’m thinking about making some for gifts for Christmas this year. What size of jar do you store this in? Hi Deborah! That is a wonderful Christmas gift idea! 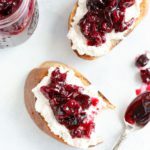 I have only stored it in the jar that it is pictured in, and I have always made it and used some immediately in a recipe. I think you could use any size jars that you want. The recipe as written makes about 2 cups of sauce. I am out of town so I can’t check the size of the jar, but it is probably about 1 1/2 cups. Haha! You are not being stupid, Katrina. There are two different methods of making caramel: a wet and a dry method. This recipe is the dry method where sugar is melted all by its self. The wet method is when sugar is first dissolved in water and then they are cooked together. The dry method does require more babysitting and you will need to swirl the pan to keep it cooking evenly. I have tried both methods and I prefer the caramel produced by the dry method. I can’t believe your husband doesn’t like toffee apples! They are so delicious! A caramel fondu sounds delicious too. Good luck! i have made this twice, making again tomorrow. It IS absolutely the best. Thanks for sharing! Thanks, Kay! And thank you for stopping back by to let me know! Happy baking! I am going to attempt making your caramel sauce to use as Christmas gifts. 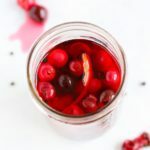 I was wondering if it were possible to make the recipe in bulk to fill several jars at once or if it would be harder to do that way. I have never tried to make my own caramel and I wasn’t even worried about attempting it until I read your directions and all the comments so I’m trying to do some ‘homework’ before trying it. Hi Chrissy! I would not try to make this in any larger batch than as written. I think you will have even more trouble getting all the sugar to melt before it starts burning especially if you do not have a gas cooktop. Good luck! The good news is, when you are done, you’ll be an expert at caramel! Just delicious! Tried and true! 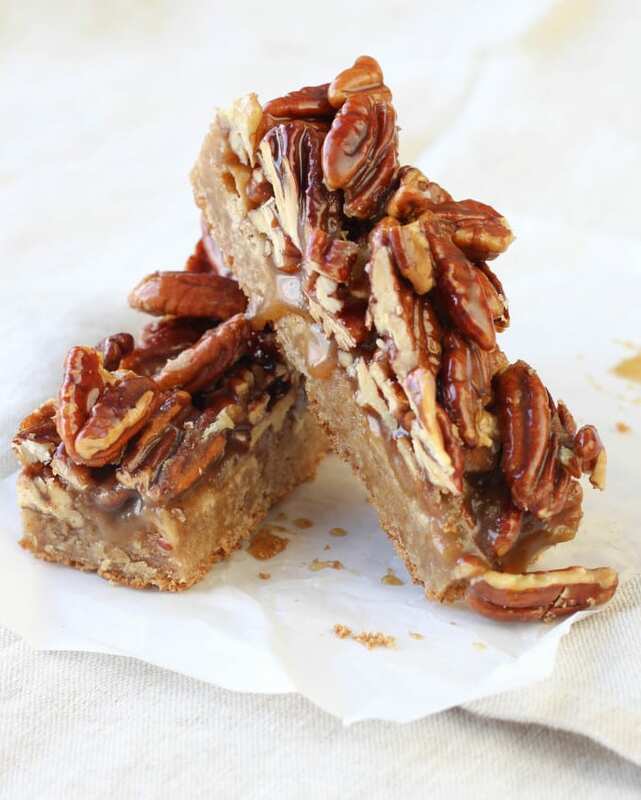 Easy, delicious, no fail, best caramel!! I’m so glad you liked it, Sarah!!! Thank you so much for allowing me to use your photo for my caramel sauce. I have now properly credited the photo with a link to your site. Thanks once again. Hi Jeanie! Those hard pieces are from the sugar seizing most likely from adding cold butter. Sugar naturally wants to recrystalize so if any sugar crystals on the spoon or side of the pan fall into your caramel it also may create lumps of sugar. The same thing happens when you add cold butter and cream to the hot sugar; the cold will shock the syrup and chill parts of it creating crystals. Sometimes you can keep heating it and the crystals will dissolve but often it’s best just to strain it. To achieve the caramel sauce consistency in the photos, I did not need to keep heating it. If you do keep cooking it, it will continue to thicken. Hope that helps!! All kidding aside, I did read the instructions many times and followed them as you wrote them. Getting the method down right is the most important step. And yes I poured some in a glass and I am sipping it as I clean up! Forget the spoon! Hi hi if I freeze it can I keep longer than 2 weeks? Can it be frozen…. Hi Mae! I have never tried to freeze caramel sauce, but I don’t see why you couldn’t. 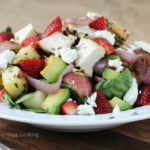 The general rule is 1-2 weeks in the fridge or 2 months in the freezer! Hi Beth! I have often wondered the same thing. The only thing you can do is try! To make caramel candies, you just put the caramel back on the heat after adding the butter and sugar and continue to cook it until it reaches 235 F (soft ball stage). Pour it into a grease pan or little molds if you have them. This recipe has a lot of butter and cream, which is the only reason I can fathom that you could not make it into caramel candies. Good luck! Let me know if it works because I want to make some! 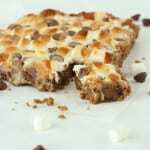 I got hit with major sugar cravings earlier and searched pinterest for all things sweet and gooey and delicious, and came across your recipe. I’ve always been scared to try make caramel sauce myself but the need got too great and your instructions were so clear and detailed, I got confident and ran out to get some cream and a (huge) tub of tin roof! Everything went exactly like your description (until I dropped the butter spoon into the caramel) and the sauce came out perfectly!! Living in South Africa, I wouldn’t know where to start looking for fleur de sel, and just used coars-ish sea salt. Unfortunately, it seems like my salt settled at the bottom of the pan (a discovery I made while practically licking the bowl), was I meant to use a fine/table salt? Thanks so much for this amazing share though, I’ll never be satisfied with the store-bought kind again! Haha! I am soooo happy to hear that your caramel came out (almost) perfectly! 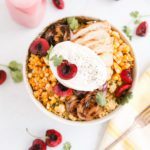 I absolutely love this recipe! I have dropped my spoon too, but fortunately the caramel was saved! As for the salt…I have a few thoughts on salt. I never use table salt in my baking because it it processed and tastes completely different than sea salt. Maldon salt is a very high quality sea salt with thin flakes that melt very quickly into the caramel. I have used regular sea salt but I used fine texture. If the crystals are too large then they won’t dissolve and you will have salt at the bottom. The other mistake that I made with salt was adding it too late so the caramel wasn’t hot enough to dissolve the crystals and I just got pieces of salt in my caramel like you. I add it immediately after the butter. You can put it back on the heat to dissolve it too but the longer you cook your caramel, the thicker it will be after cooling! I hope that helps!!! Happy baking! First time success thanks to your detailed instructions. I laid everything out first, swirled, whisked and it worked! A couple of sugary blobs left behind in the pan is all. It tastes fantastic and is headed for the top of chocolate lava cakes and coffee ice cream tonight. Thank you for instilling confidence. I read your instructions maybe half a dozen times before I took the plunge. I am so happy to hear that, Ann!! There is nothing quite like homemade caramel! I am seriously so happy that my instructions helped you! 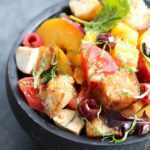 Since I wrote that, I went to culinary school so I have been meaning to go back and update that post with even more helpful hints! Enjoy your chocolate lava cakes and ice cream! They sound perfect! I read some of the replies after stuffing up my sugar.. sugar bits remain and hard as rock too.. ladies.. im gonna put it in thw spice grinder! Its the sugar or me tonight! Sauce is heavenly btw.. those sugar bits are gonna keep me up if I dont do something. Hi Nishi- The sugar bits will eventually melt into the caramel if you keep cooking it but the sauce will be thicker and will eventually become candy. You can also strain the sugar bits out. The sugar bits happen when the sugar crystallizes which can happen from too much agitation or even if you have sugar crystals on the side of the pan and they fall back in. I always appreciate reading review so I just figured that I’d put in my two cents. I made this today, and it turned out just beautifully. The biggest problem for people seems to be in the melting of sugar, so here’s what I did: I let the sugar melt without stirring (just swirling) until about 2/3 of the sugar was melted. At that point, I used a wooden spoon to slowly incorporate the rest of the sugar, and then I stirred fairly vigorously once there were just little floating chunks of sugar until it was all melted. Yes, the melted sugar was golden brown while some of the sugar hadn’t even melted yet, but in the end it worked. I did put the caramel back on the stove for about 2 minutes after I had added the cream and butter just to thicken it up a tad. It’s delicious…thank you! Well, I’m salted-caramel-challenged 🙁 — I swear it sounds soooo easy to make, but I tried 3 times this evening and it all went down the drain. I had all kinds of trouble…the first time I tried a different recipe that called for corn syrup and no butter…yeah, I know. By the time I added the cream it became liquid and it never set. The second time I tried you recipe and the sugar did not melt all the way when it started burning. So, I thought it was the brand of sugar so I switched to a different brand and one more time it started getting dark before the sugar melted all the way. However this time I was able to add the butter and the cream quickly and it came out okay, but with a slight burn-taste….ahhhh, what is it? I have an electric stove and maybe is gets too hot. **(in Charlie Brown voice)** I don’t wanna give up on salted caramel!!! Hi Rosie! Don’t give up! I’ve totally been there. Promise. Let’s start with your last question and go from there. There are two different methods for making caramel. One is the dry caramel method (this recipe) and one is the wet caramel method. One is not any better than the other. Some find the wet caramel method easier but you absolutely cannot stir it after the sugar has dissolved because the agitation combined with the hydration will cause it to crystallize. Also once the sugar has dissolved into the water, you should wash the sugar crystals from the side of the pot with a clean pastry brush dipped in water or I have even used a wet papertowel. If you leave crystals on the side of the pot then they can fall into the caramel and cause it to crystallize. Once you hydrate the water and wash the sides, don’t touch it! You can swirl a few times but don’t stir! There is no wrong amount of water to add but the more you add, the longer it will take too cook because the water needs to boil off before the sugar will caramelize. No big deal. You can change this recipe into a wet caramel if you want to try it. Take heart: The problem is not you and your caramel making skills; the problem is your electric cooktop. The heat is uneven and the burner turns off and on to maintain a “consistent” heat, which is never consistent. Don’t fret. I made the caramel in this post on an electric stove. 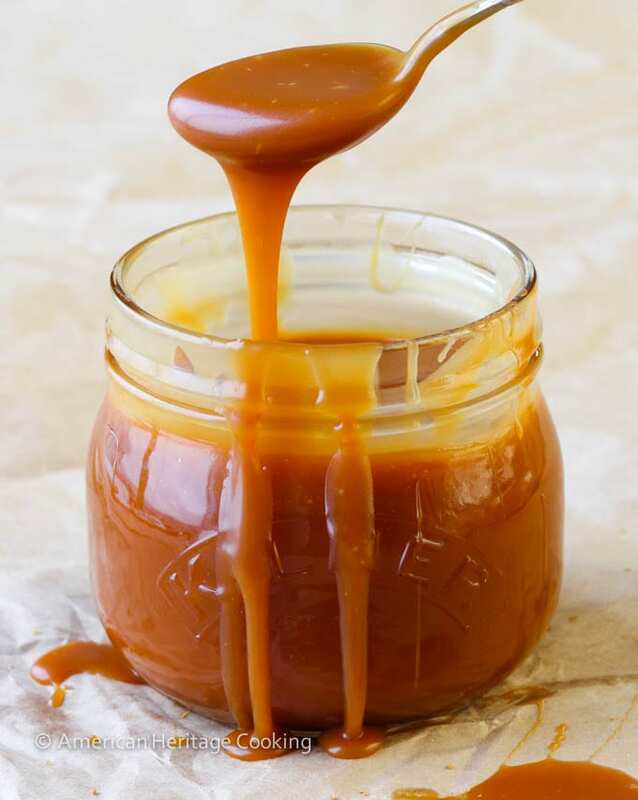 If your caramel starts to melt unevenly, which it always will, just stir it gently with a wooden spoon (bonus points for one with a flat bottom). Then allow it to continue to melt. Think of corn syrup as cheap insurance against crystallization. I only use corn syrup with wet caramel though. If you want to try that add about 1/2 cup of water to the sugar in this recipe and stir to hydrate the sugar then add about 1 tablespoon of corn syrup, stir to combine; wash down the sides of the pot and don’t touch it! There are scientific reasons why I do not add the corn syrup to the sugar before it is hydrated but I’ll spare you! The other recipe you tried – the one with the cream that never set – you just need to put it back on the heat and keep cooking it to thicken it. That is how you make caramel candies. Lastly, just remember that caramel *is* burned sugar. The key is just to figure out how “burned” you like it. I like really dark, rich caramel so I let mine get a dark amber before I add my butter and cream. If you like it lighter, add the cream and butter when it reaches a lighter amber color. The darker the caramel, the less sweet it is. There is about 2 seconds between dark amber and black-burned. You may have to burn a few before you figure it out. I know I did! I hope that helped! Don’t give up. Let me know what you try and if it worked! Omg, thank you soooo much for writing such a through response—you’re an angel !!!! Thanks a million!!! And, you are so right! my electric stove does create uneven heat and the sugar doesn’t know whether to boil or just be hot. You are most welcome, Rosie! #unstoppable is right! You’ll nail it soon! It is difficult on an electric burner but totally possible! I know that feeling of throwing out something I later realized that I could salvage – that’s the worst. I threw out so many Italian and Swiss buttercreams before I went to culinary school where I learned that they were all completely fixable! 🙁 You’ve got this! Let me know how it goes! Thank you for such a killer recipe and all of the tips! I tried it yesterday, Thanksgiving, to go with an espresso cheesecake. It was my first time making caramel and it turned out great! You are so welcome, Nikki! I am so glad you enjoyed it! Your espresso cheesecake sounds fantastic!! Might be a dumb question, but what temp should the cream and butter be? I have had them out on my counter for a couple hours and they are about 60 degrees. I can’t seem to find an easy answer anywhere online. Hi Jen! Great question! Room temperature is just fine. You just don’t want them cold or they will seize the hot caramel. You can warm the cream a little in the microwave if you want but it’s not necessary. If the butter is soft, it’s warm enough. I just came across your salted caramel recipe. I am very intrigued. 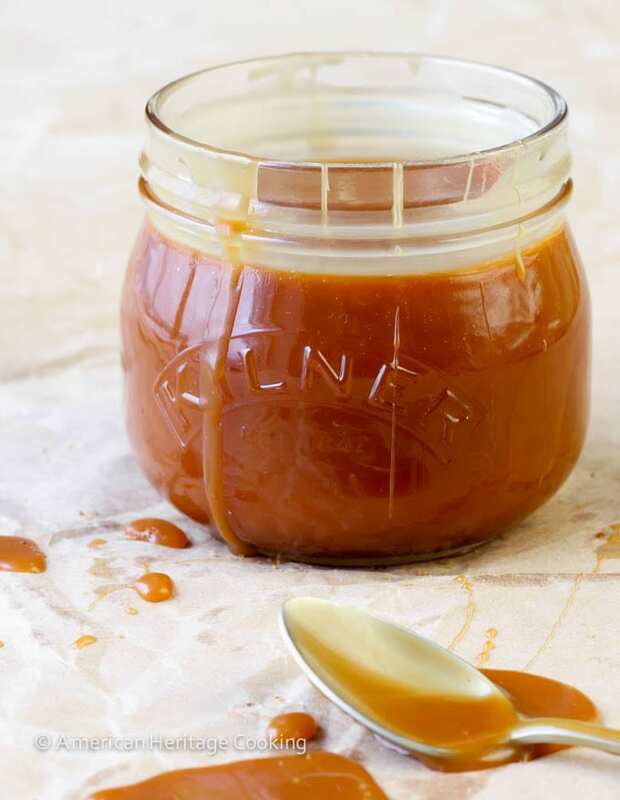 I am thinking a bit along the lines of a salted caramel bourbon sauce to give for christmas to my coworkers, any thoughts on how to go about this with your recipe? Hi Ashleigh! Sure! Just add some bourbon after the butter! Obviously you already tried! Sorry for the delay, I was on vacation. Is this shelf stable or does it *need* to be refrigerated? Hi Heather! It should be refrigerated. I have a burnt finger, 2 failed pots of half burnt sugar but will use all my sugar until I have a nice jar of Carmel!! Back to the stove! Hahah! That’s the spirit Norma! And I know the feeling, but that caramel will taste so good!! Hi! this looks so delicious! I’m looking for a caramel recipe that i can pipe though…is it possible to pipe this on to a cake? Hi Mao! What exactly are you going to pipe? It’s probably a bit too loose at room temperature for that. I would use less cream and butter to get a pipeable caramel. Could you use a non-dairy creamer to make the sauces- like coconut milk or almond milk? You could certainly try! Sometimes coconut milk and almond milk do funny things like separate when they are heated but please let me know how it works out! Happy baking, Jessica! 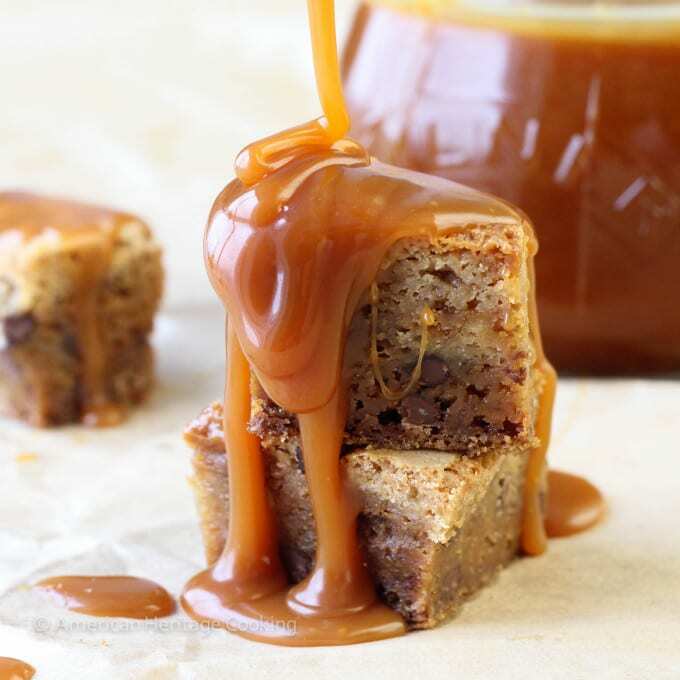 Thank so much for this gorgeous salted caramel post. It is delicious! I did cook a few seconds longer to get a darker deeper sauce, and added a bit of vanilla to the cream while it was warming. Do you have a suggestion to transition this caramel to the thicker type to use in a chocolate covered candy? 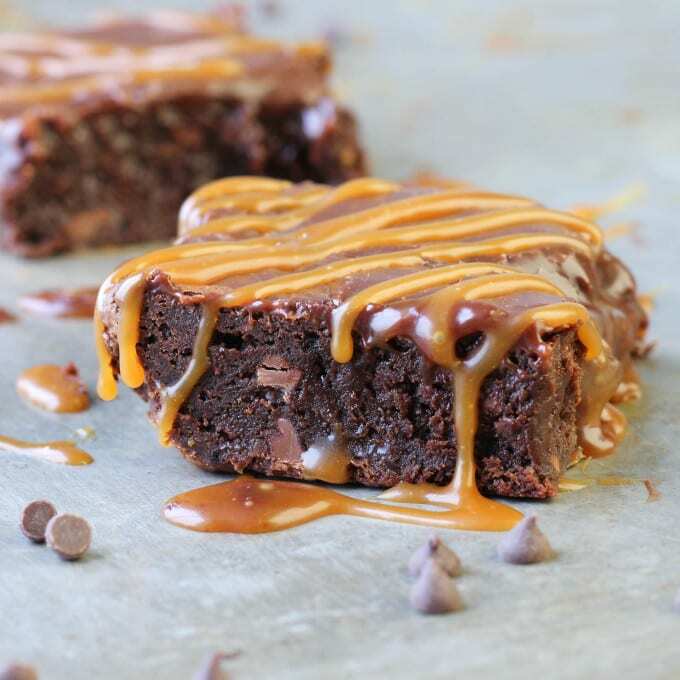 Thank you so much for this gorgeous salted caramel post. It is delicious! I did cook a few seconds longer to get a darker deeper sauce, and added a bit of vanilla to the cream while it was warming. Do you have a suggestion to transition this caramel to the thicker type to use in a chocolate covered candy? Hello! 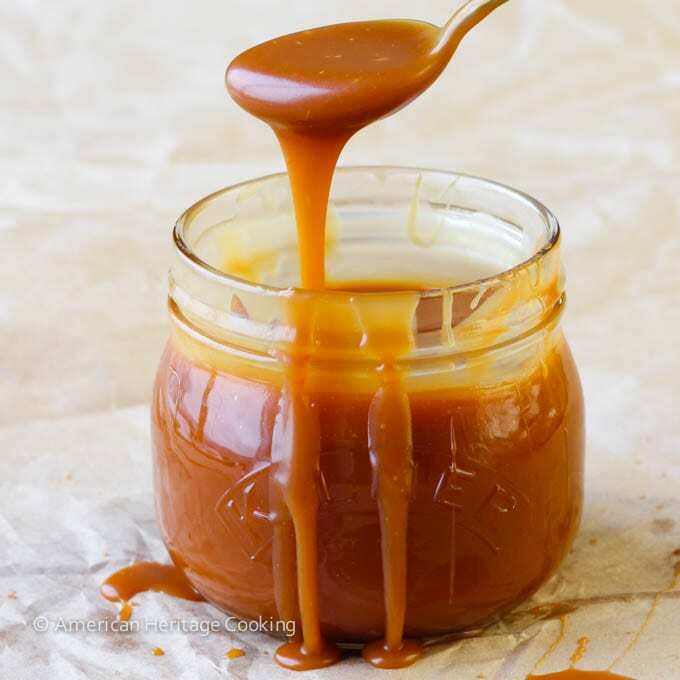 I have successfully made this salted caramel sauce and it is really too yummy!! I had to stop myself from eating too much of the sauce itself! However I tried to use it on my cupcakes. I made a moist chocolate cupcake and it cannot seem to stay in the center of the cupcake. It just get absorbed into the cupcake. Anyway to make the sauce more thick to be able to put it in the center of the cupcake? 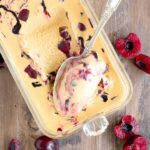 I really love this version of the salted caramel sauce that you shared and I hope to make it work! Hi Shirley! I am so glad you like the sauce! I successfully used it as a filling in these cupcakes and also these! The only things I can think of are that either the cupcakes are still warm or the sauce is still warm. Try chilling the sauce first and then scooping it in – this won’t be as easy as when it is still warm or even room temperature but it won’t absorb. To make the sauce thicker use less cream or butter. Good luck and happy baking! So I tried to make Carmel all in one night. Had a lot of downs but there were some ups! The first recipe wasn’t yours and was totally different and the way it was made. That was a disaster never really got creamy the sauce was still grainy as if I added sugar after. Anyways I searched alot of recipes and came across yours. The first time I had tried it I had tried it with half brown sugar and half granulated sugar. Which was another disaster because I could not tell if the color was Amber as the way you’re describing it. I tried to do it by smell but I added all the ingredients and let it cool down it just tasted burnt. I love the consistency of it. So I decided to give it another try. But before I did I read most of the comments which were a lot. They had a lot of tips but as I could tell most of them were using stove like yours or gas. As I am using an electric stove. So like in the comment I tried to not stirred but I seen that it might start burning so I started with a spatula. Then it was getting clumpy it did start melting down as it should but it still had white pieces from the sugar. But as I didn’t want it to burn I had added the butter. It looked like it was going to come out good so I added the cream as instructed but think I added it to fast or maybe it was cold it did sieze up. But more than half was okay so I just used strainer. And salvaged the rest. The part that I salvaged came out great the flavor was great and the consistency was what I had wanted. But in the end I don’t think making caramel is so easy using an electric stove. So what was supposed to take me 12 to 15 minutes turned into a 5-hour escapade. As I said I had a lot of ups and downs mostly down. But in the end at least got what I wanted. It will be a while before I try it again but I will. Thank you for the recipe as it was great in taste. Hi Roxanne! Unfortunately making caramel on an induction burner is a lot harder than on gas, but it is possible so don’t give up! When sugar melts its physical state changes and if a sugar crystal is introduced to this melted sugar it could cause the entire batch to recrystalize. These are the crystals you had to strain out. I like to think of it as if sugar “wants” to be in crystal form and we are coaxing it into a different state. The slightest interruption or contamination will cause it to revert back to its natural state. This is why you never stir a wet caramel after the initial wetting of the crystals and you take great care to use a clean pot and wash all the sugar crystals from the sides of your pot. Stirring a dry caramel (like this one) is allowed but I still find it better to swirl the pot to use those hot patches to melt the rest of the sugar without disturbing it too much. You can also try adding the sugar to the pot slowly by sprinkling more on top as it starts to melt. This works best with a smaller quantity. Brown sugar doesn’t caramelize like white granulated sugar because of the molasses. YOu can still make a delicious sauce like I did here, but I used 100% brown sugar. I hope that helps! Amazing tips. Was able to make it perfect in first attempt. Thanx. I’m a first timer at making my own caramel sauce. My husband and I live in Africa and its hard to find any ingredients, so its been up to me to make my own things. I will never go back to store bought. I found your recipe to not only be delicious, but very helpful. Like I said, I am a first time and was not expecting my first round to go so well…but it did. Thank you. Well done, Chrissy!!! It is not an easy feat! And you totally nailed it! Happy baking! Thank you for the recipe. I made it, and I have a suggestion. I think the temperature is a little high for people with gas stoves. I made it with the temp on medium high, and by the time the last of the sugar dissolved, it was burned. It was so weird. It happened so fast. I’ve never had that happen to me. So I made it again, a half batch this time, stirring it constantly, with the heat on medium, and it turned out beautifully. Also, I didn’t have any flake salt, so I ground some coarse salt (the amount it called for), and it tastes perfect. I’ll use this recipe again. Thanks! Hi Angelica, I don’t see brown sugar in the recipe, so definitely use white sugar. You can try with canned milk or you can do with just added butter. Cream makes it stay looser and pourable and gives it a little creamier taste. I recently aquired a ton of carmel sauce from work and want to make candy out of it for the holidays as gifts. How can I use already made and packaged carmel sauce into hard salted carmel candies? Hmm. Well acquiring a ton of caramel sauce sounds like a blessing and a curse! 🙂 You can try to cook it again to 260 degrees and then pour it out. Let me know how it goes! 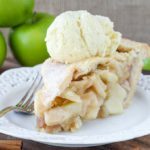 I’m using this recipe for my Carmel apple cheesecake! Yum! Hooray! I bet it was fantastic! Good afternoon! I am attempting to make your salted caramel sauce and I have tried 3 times and each time it gets too dark. 🙁 I’m using a gas stove, with a heavy bottom stainless pot, room temp butter and cream, as soon as the sugar is melted I start whisking away with everything. It’s already really dark at that stage. I’m wondering if it’s taking too long to cook and that’s why it’s getting dark? I leave the temp at medium or right below. I know gas stoves cook at a higher temp than electric/induction, so I figured I’d put it at med-high it’ll really burn. Any suggestions? Hi Julie, Oh no! So you can try a few things. Try preheating your pan on high or medium high if using a big burner on a gas stove. Then sprinkle the sugar over the hot pan. It will start to melt immediately, then sprinkle on more. You will eventually need to put larger and large quantities in. Then use a wooden spoon to gently stir it (it’s more like moving it around). Even on a gas stovetop the outsides will begin to caramelize before the middle. The heat of the already caramelizing sugar will melt the remaining sugar before it begins to burn. These days I now heat my butter, cream and salt in a small saucepot to melt the butter and heat the cream, so that it will incorporate better without seizing. Don’t start whisking until you add the butter/cream mixture. Make sure you have somewhere to pour the caramel to stop the cooking process. I made caramel last night for a caramel ice cream on a gas stovetop using the method above and it was beautiful. Report back! Just did not fully understand…. the explanation says I should add sea salt immediately after adding cream and butter and after that stir until it melt? I was searching for a good recipe foe years finally find the fantastic and easy one !!!! please can i have this receipt with gramme mesure? 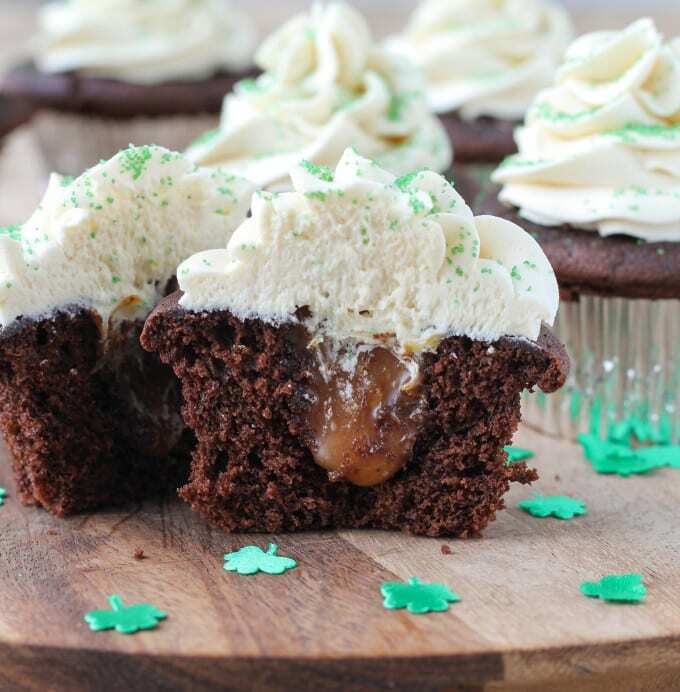 I needed a caramel recipe to fill chocolate cupcakes with and stumbled upon this one. Having never attempted caramel before, it took me three tries to pull it off, and what a sweet accomplishment it was! I’ve never been a caramel fanatic…I’m a peanut butter junkie…but, OH. MY. GOSH…this recipe could change a girl’s mind! I’ve never had caramel this good before! Thank you for this recipe and insisting not to stir…that’s what makes it work! Hey Beth! I’m so glad you found it and persevered! It sounds like you nailed it! 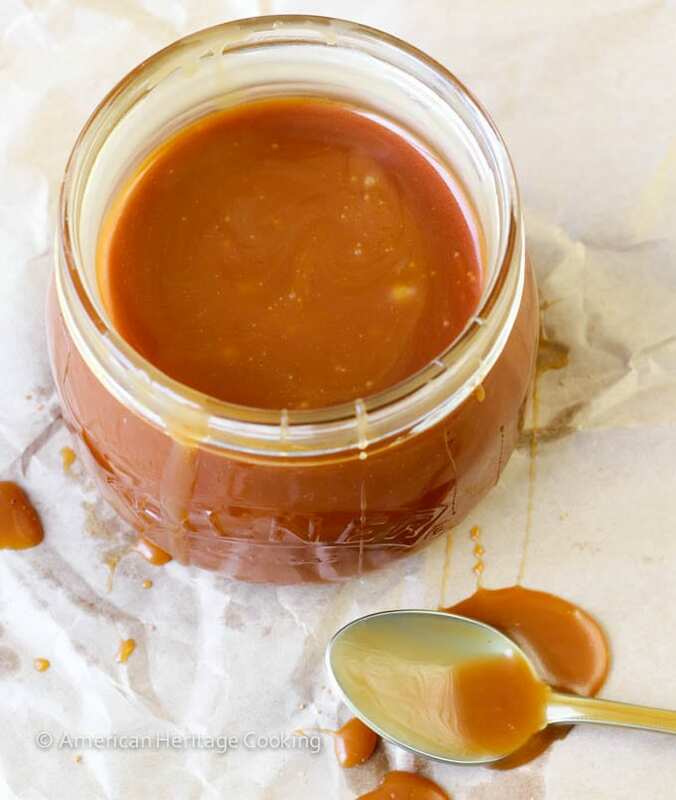 There is no better feeling than a beautifully made caramel sauce! Have you ever tried caramel AND peanut butter together?! 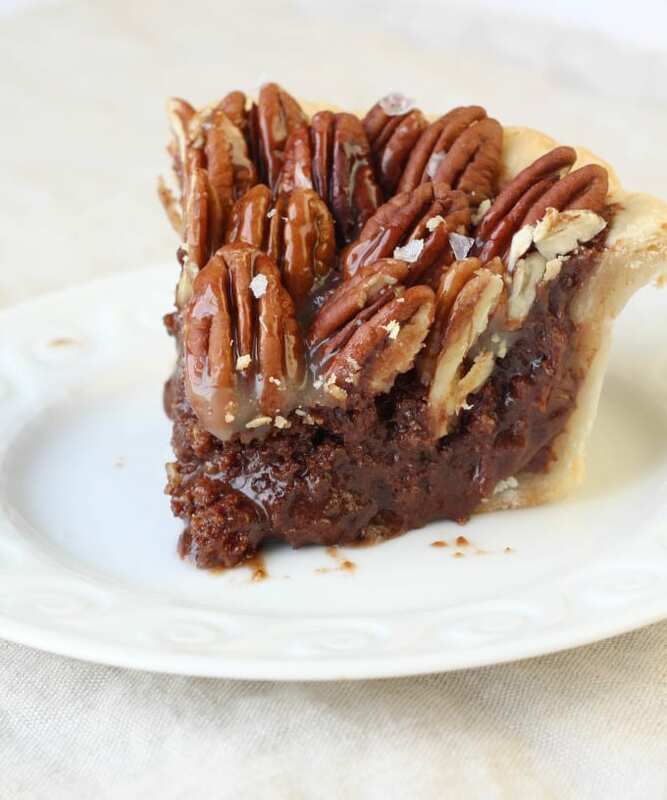 Salty sweet perfection! Happy baking! In your instructions you say to melt the sugar but the recipe does not call for water. How much water does one use for 2 cups of sugar? can. Honestly it doesn’t really matter how much water you use because all the water has to evaporate before the sugar will caramelize – more water, more time to cook the sugar. No big deal. Just add enough to make wetting the sugar easy. Don’t forget with a wet caramel, there is NO STIRRING after the cooking has begun, only swirling! Do you think I could do half brown sugar and half white? Also, would this thicken/harden up enough to pur over a white cake as a frosting? HI Beth! Brown sugar does not have the same properties as white granulated sugar, so, no it won’t work with half and half in the way you want it to. It will create a syrup but it will be a bit grainy unless hot. It will thicken up to pour over cake but it will have to stay cold or it will begin to run. I would also pour it onto a frozen cake. Happy baking! 1. I’m using kosher salt which is bigger chunks of salt than fleur de sel, as far as I know. I CANNOT get it to dissolve, no matter when I add it or how long I stir. It just sinks to the bottom. 2. When I follow the instructions exactly in melting the sugar, it almost always burns right away… I see amber coloured bubbles burst through the granulated sugar and then it’s basically burnt. I’m having the hardest time finding the right temperature to melt the sugar on my gas stove. The only thing that has worked is to put it on super low and stir constantly (instead of medium high and just swirl the pan). Hi Bridget! Fear not, you’re in luck. I actually just did two different video tutorials on caramel. Plus a new post with more tips. You are making a “dry caramel” so you may absolutely stir it. There will be parts that will burn before others and that is totally normal – just keep moving the unmelted caramel to the hot spots. The melting and caramelizing sugar will melt the rest. You can also try the wet caramel method in the video. I think adding butter to this recipe was a bad idea not only for healthy reason but also because it makes the salted caramel taste way too buttery. I had to add a lot of vanilla essence to get rid of the buttery smell. Sugar, brand name heavy cream, salt and vanilla essence is all you need to make the best salted caramel. I’m sorry you find the flavor and smell of butter so offensive! I think the French would disagree. Butter has other properties other than flavor here, but you can certainly make it with out.